Tumor hypoxia is a clinically relevant cause of radiation resistance. 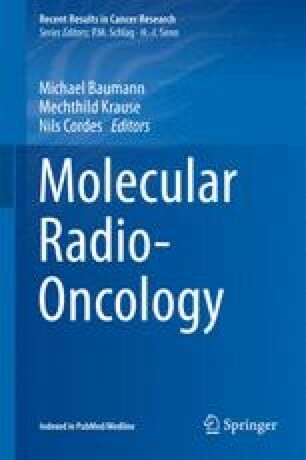 Direct measurements of tumor oxygenation have been performed predominantly with the Eppendorf histograph and these have defined the reduced prognosis after radiotherapy in poorly oxygenated tumors, especially head-and-neck cancer, cervix cancer and sarcoma. Exogenous markers have been used for immunohistochemical detection of hypoxic tumor areas (pimonidazole) or for positron-emission tomography (PET) imaging (misonidazole). Overexpression of hypoxia-related proteins such as hypoxia-inducible factor-1α (HIF-1α) has also been linked to poor prognosis after radiotherapy and such proteins are considered as potential endogenous hypoxia markers. The authors would like to thank the following organizations for financial support: the Danish Agency for Science Technology and Innovation; the Danish Cancer Society; the EC FP7 project METOXIA (project no. 222741); the German Research Foundation (Deutsche Forschungsgemeinschaft); the Wilhelm Sander Foundation and CIRRO—the Lundbeck Foundation Center for Interventional Research in Radiation Oncology and the Danish Council for Strategic Research.